Starting in 2008, we led an effort to provide individual Harper College departments with their own, customized websites. We developed and communicated a strategy for the departments who wanted to have a customized website. Between 2008 and 2012 we designed and developed 38 of the 44 departmental sites that were implemented under this program. For all of these sites, we worked with the departments to determine what information they wanted to include, what the layouts should be and how the websites would be maintained. In some cases, the departments had a logo or graphic they wanted to use, but for many of them we developed the header images and graphics. To provide a connection to the main Harper website, we developed a simple set of standards for the use of the Harper logo, footer information and basic layouts. During the early part of the project, we made presentations on the overall project, design guidelines and the processes that would be used to develop the sites so the departments would know what was involved in having their own websites. 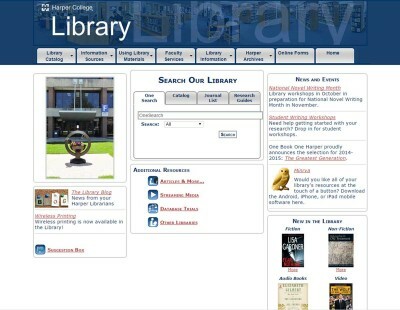 The largest site we worked on for Harper College was the Harper College Library site. For this project we worked with the library team to develop the requirements for a major redesign, then we led the design work and the small development team which developed the new layout and migrated all the needed content to the new site. Subsequently, we have done a second major redesign and development of the site, followed by additional major changes to the homepage. All of these Harper College departmental websites were developed using Adobe Dreamweaver. 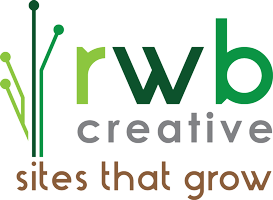 Some of the departments then were able to maintain their sites themselves using Adobe Contribute or Dreamweaver. Some of these sites have since been absorbed into the main Harper College site and are no longer active. Since 2012 we have provided ongoing maintenance support for the remaining sites.